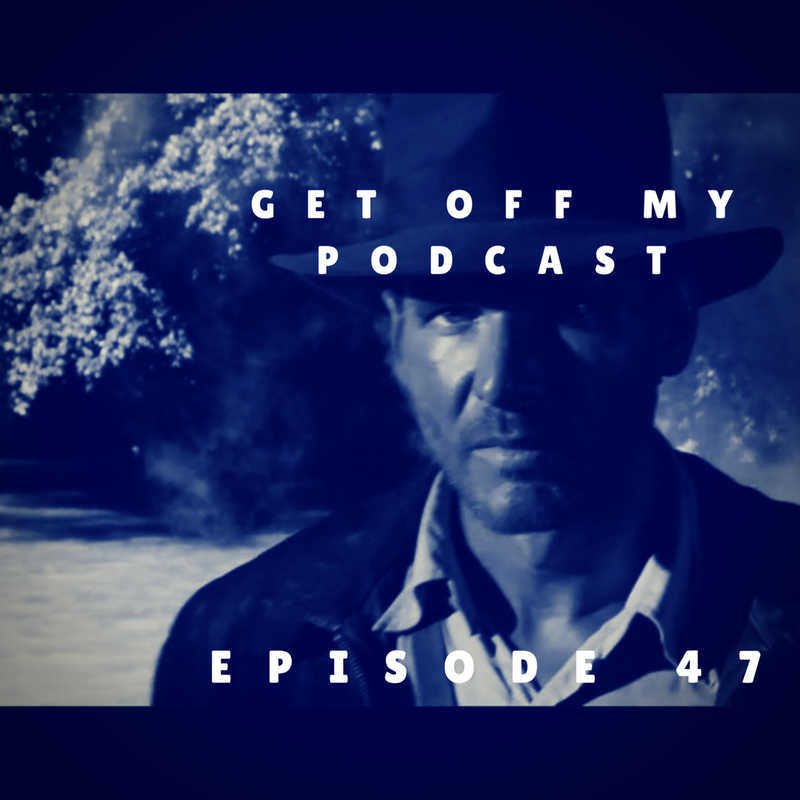 Indiana Jones | Get Off My Podcast! We are back into the Harrison Ford Universe! Solo: A Star Wars Story – BluRay. A review of the Jack Ryan series. The Secret Life of Pets 2. Thanks for listening and hanging with us! Theme song by Night Stop, check it. Check us out at getoffmypodcast.com. Bad Star Wars Fans and New Harrison Ford Movies! What is even going on with Star Wars fandom? Who are these idiots that are resistant to more female and diverse characters in the SW Universe? We don’t know, but we talk about these people that don’t get the message that Star Wars puts out. And oh yeah, Harrison Ford has THREE new movies that will be coming out (eventually) so you know we will be talking about those (Indiana Jones 5, Call Of The Wild, The Secret Life Of Pets 2). Also, what happened with Solo? Like, what the hell!? Lastly, there was an article written at Vulture.com ranking the best Harrison Ford performances and we finally get to break it down. This and more Harrison Ford Universe stuff! This week we catch up with all the Harrison Ford Universe movie news we deem Mr. Ford related. Also, Harrison is helping saving lives in real life, we figure out what went wrong with Blade Runner 2049, list the best movie battles of Harrison Ford’s career and more! Happy 75th Birthday Harrison Ford! We celebrate by making Harrison Ford beer names, talk about the greatest NON-movie related moments of Harrison’s career and the best Harrison movie moments of each decade. One man made eating noodles cool. One man. His name is Rick Deckard, aka Harrison Ford in Blade Runner. It’s 35 Years old now and we look back at the film in our own nerdy Harrison Ford loving way. We also update and break down new footage of Blade Runner 2049 and try to figure out what will happen in the movie. We also cuss about the Han Solo film and why Ron Howard is now the Director and get pissed that Indiana Jones 5 is the only thing happening for Harrison, post Blade Runner. Also, will Harrison go to the opening of “Working Girl – The Musical”? This week on the show, we briefly explore what would have happened to “Indiana Jones and the Last Crusade” if Mutt would have been around – yep, we go deep on this show. We update what is going on with Indiana Jones 5 and what could be the MacGuffin. We go deep with speculation on what happens in Blade Runner 2049, using information given from Harrsion, Pretty Boy and an Entertainment Weekly article. Also, have you ever seen the Raiders Of The Lost Ark in black & white, thing by Steven Soderbergh? You totally should. Like right now. Forget this episode and go watch it. But after that, listen to this. The films of Harrison Ford have produced the most iconic characters in the history of film. Not all of them Harrison Ford played. There are some pretty rad characters that have come into contact with Harrison’s over the years. So this episode we rank those characters. What are the Top 20 Harrison Ford Universe Characters Of All Time!? We also check in with all upcoming HFU (Harrison Ford Universe) films, of course.